Ohio Vedic Homes, LLC was formed in June 2006 by a group of investors who wished to purchase the 60-acre Lake O’ Springs private resort in Canton, Ohio, to create a health and recreation community with ideal residential vedic green housing. Specifically, our goal is to develop the land and lake as a model community for Vastu (Vedic) Architecture, making the proposed Lake O’ Springs Village the second community built entirely with Vedic architecture in North America. Our approach is to build smaller more energy efficient and green homes with less of an impact on the environment, and to place them on comfortable lots given the desired house sizes and our Vastu architecture rules. In creating our Preliminary Site Plan design, we started at the west end of the property at the fixed boundary of Lake O’ Springs Avenue, and drew two cul-de-sac roads with lots on each side of the street. We made the lots farthest away from the lake close to the smallest allowable size under the R-1 zoning (14,500 square feet), and increased lot sizes only as much as necessary to match the planned sizes of homes. To build on both sides of the roads (the only economically feasible plan), we needed to straighten out about 1000 feet of shoreline on the west side of the lake. We had to obtain a federal permit from the US Army Corps of Engineerts to fill in a small portion of the lake, the swimming lagoon, and canal, and to dig out a larger part of the shore land to be returned to lake. Those details are visible on our site maps. 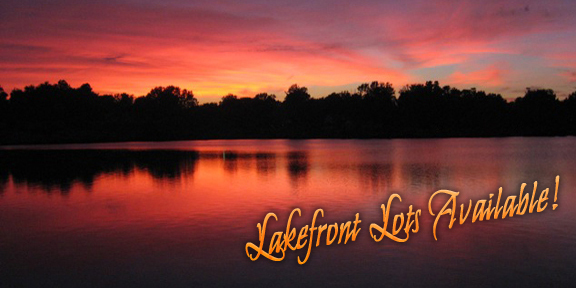 Our plan called for the creation of 25 lots on the SW side of the lake in the development area. Twenty-four will be built with single family homes, with one larger lot (#15) to be used for the continued health and recreational use, and a shoreline remainder piece for a common area for fishing and boating access to the lake, parking, and a building with a possible picnic shelter/meeting room, bathrooms, and an marina/homeowners office. There are also additional sites for another 19 houses on various lots around the lake. Five of those lots are appropriate for Vedic homes or traditional buildings, and the other 14 lots will be built with traditional housing. We also plan to uncover and improve the original walking trail around the 26-acre lake (a 1-mile loop). 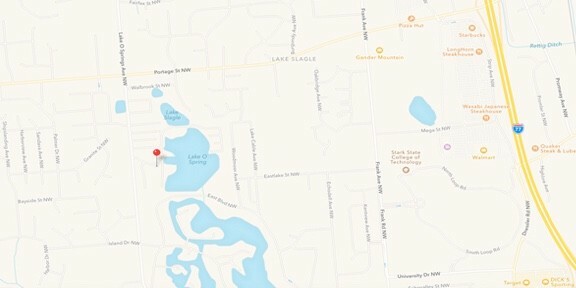 Please click the Development Map link for a map of our general lake area. ​​•Development MAP - 8.5" x 11"
•Development MAP​​ - 11" x 17"